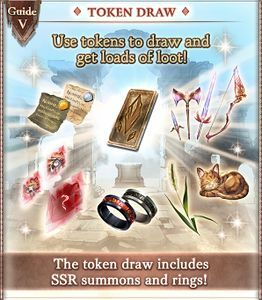 The Many Lives of Cats is a story event. 2.1 Choose the cat's name! where news of unrest reaches my ears. 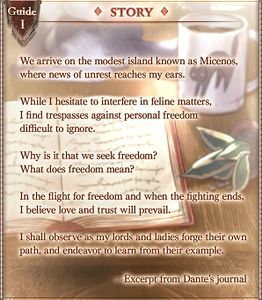 Why is it that we seek freedom? I believe love and trust will prevail. path, and endeavor to learn from their example. 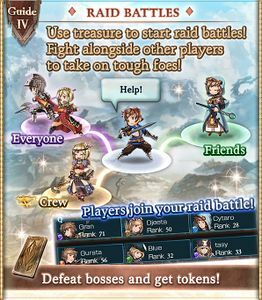 Young Cat (Event) joins you after completing the story. 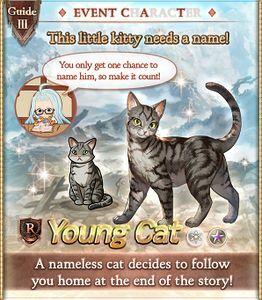 After clearing the ending, you will be able to play an episode where you can choose the name of the cat out of suggested names. You only get one chance to name him, so make it count! ビビィ / Vivi – Vyrn Jr. 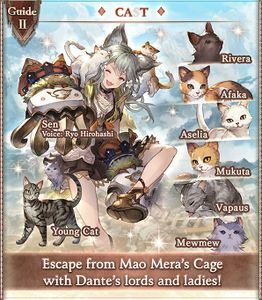 Escape from Mao Mera's Cage! Attack of the Killer Cat Golem! Thieves come to ransack Mao Mera's Cage for valuables, but three cats are determined to protect their home. Hm? Should I read this note? 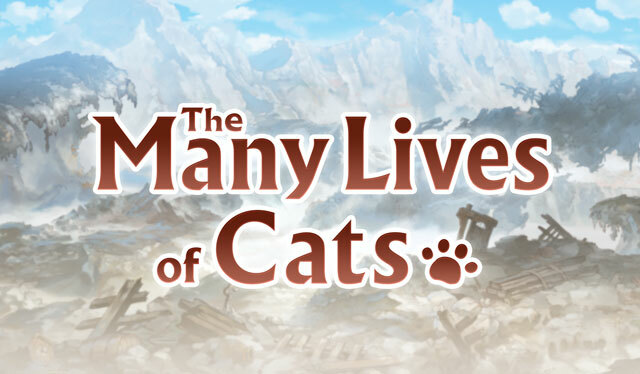 "The Many Lives of Cats." it's talking about "Micenos Rhapsody?" please don't carry that away! Er, um... Please look forward to it... nya. in the desire for freedom. Why do we seek freedom? love and trust will prevail. peek into a world few skydwellers get to see.